Everyone has a super hero movie they’re looking forward to seeing the most in 2017: Logan, Guardians of the Galaxy Vol. 2, Justice League, Spider-Man: Homecoming, Thor: Ragnarok. Now forget all of them! The program The Blot is looking forward to seeing the most in 2017 won’t be shown on the big screen…and that’s because it’s will only be available on Showtime! 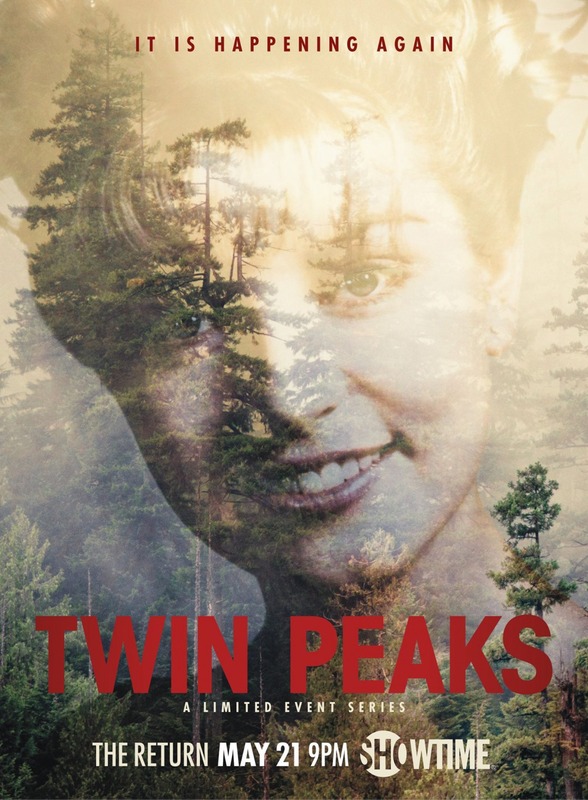 25 years in the making, this May Twin Peaks returns to TV! The Blot never thought we’d see a return to David Lynch and Mark Frost’s fictional city, but here we are with a new Twin Peaks limited series (aka Twin Peaks Season 3) set to debut on Showtime at 9pm EST on Sunday, May 21, 2017. 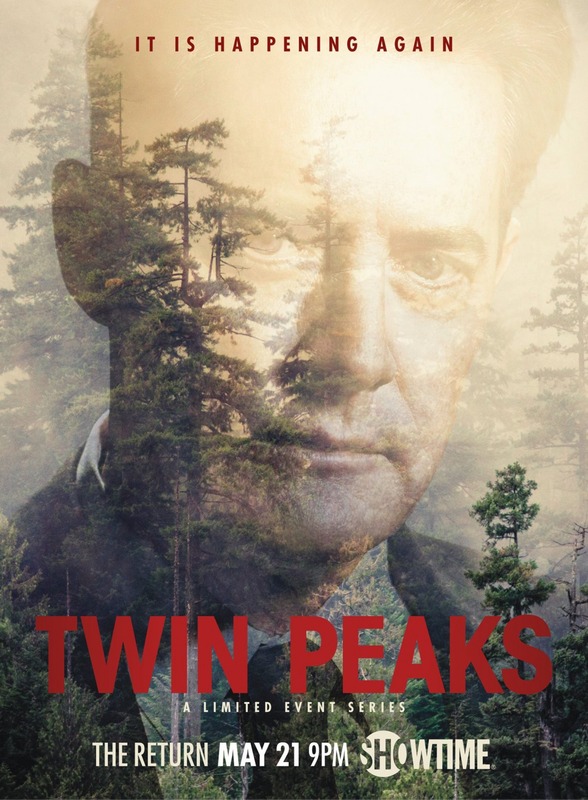 To promote the show’s return, Showtime has released these two awesome character movie posters. 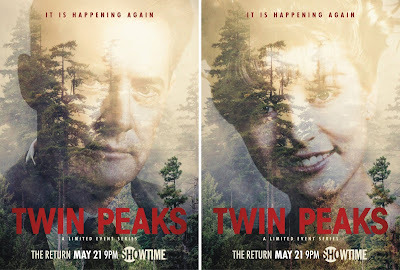 They feature the show’s two central characters, Special Agent Dale Cooper and Laura Palmer, with the tagline “It Is Happening Again”. I’m getting goosebumps just thinking about it!